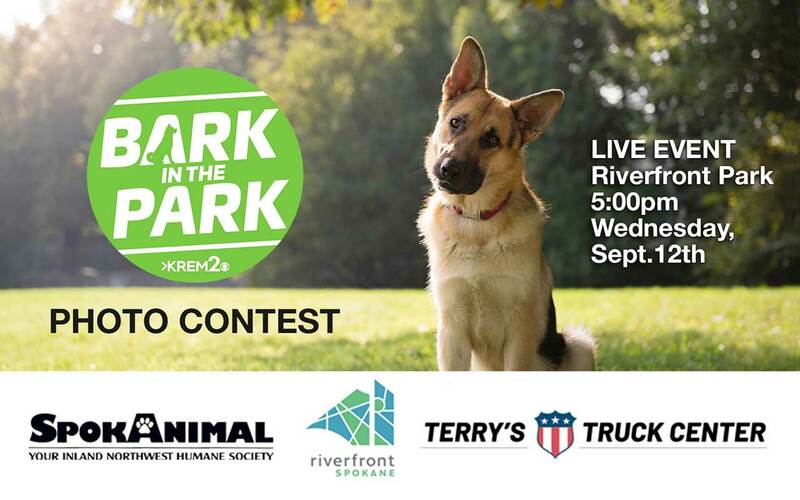 September 12, 2018, from 5-7 p.m.
KREM 2 News's Bark in the Park is a celebration of our amazing rescue pets and a continued effort to increase pet adoptions in the Inland Northwest. Come celebrate with us on Wednesday, September 12 right here at Riverfront Park. SpokAnimal will be hosting an adoption event with the first 20 dogs available for no adoption fee! Enter your rescue dog into KREM's photo contest to make a guest appearance during their live show! Events takes place at the Ribbon. Yappy Hour is a social hour where your dogs are invited. Drinks can be purchased for the humans and bowls of water will be on-hand for our furry friends.